Saskatchewan History, an historical magazine dedicated to encouraging readers and writers alike to explore the province’s history, was published by the Provincial Archives from 1948-2017. 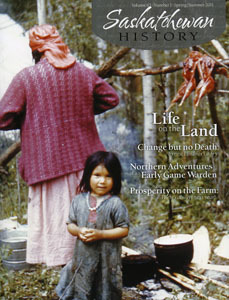 The magazine presented a colourful and provocative source of information and narration about Saskatchewan’s unique heritage. 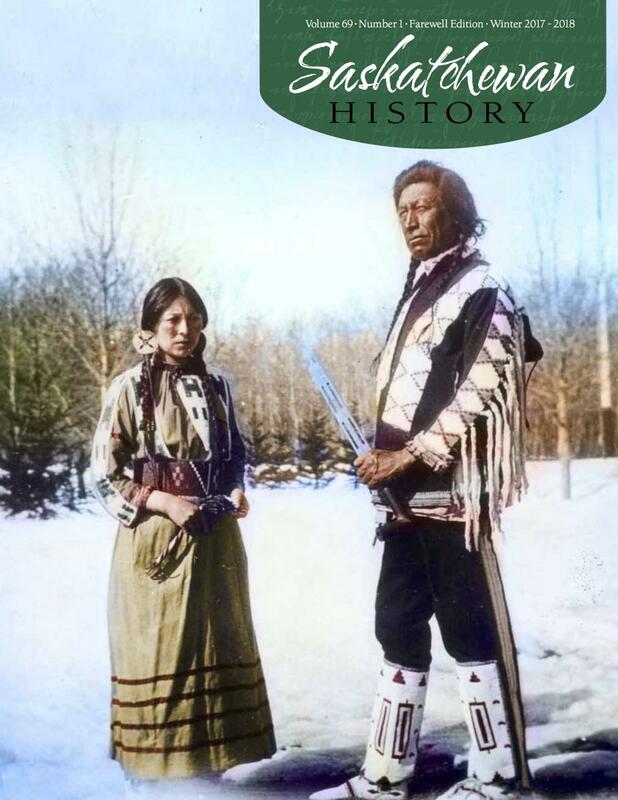 Issues have included articles on the fur trade era, pioneer life, ethnic groups and immigration, the history of medicine and medical care, business and trade unionism, religion on the prairies, women’s history, First Nations and Métis history, sports history, and many other facets of Saskatchewan’s fascinating past. 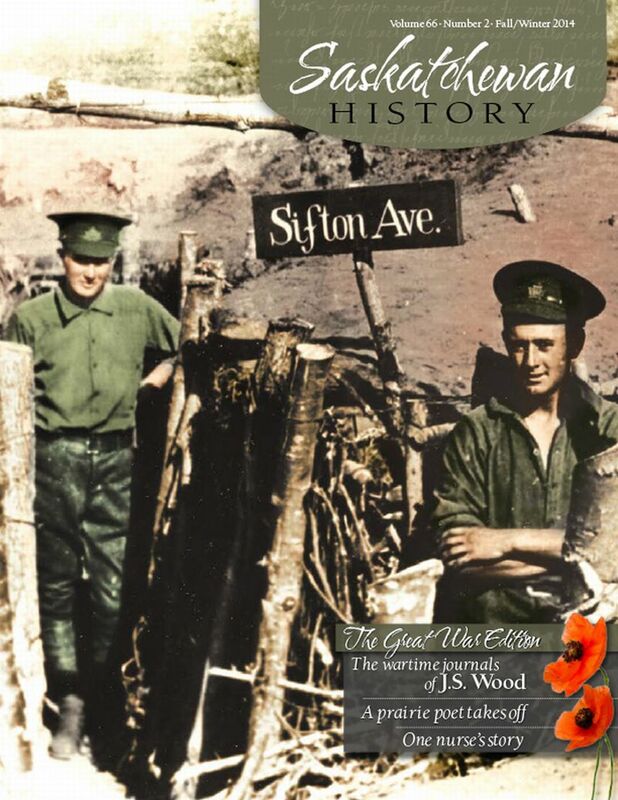 In addition, the magazine has regularly promoted, through photo essays, scholarly articles and general interest stories, features about the Provincial Archives’ diverse Permanent Collection and reports on heritage and archives news from around the province. We hope that as readers, researchers, educators and students, you continue to explore the province’s history through the past publications of Saskatchewan History magazine. Digital versions of entire issues of Saskatchewan History for the purposes of research and private study are available for download by clicking here: Download Saskatchewan History Issues. Original hardcopy versions of some back issues of the magazine are available at no cost at the Provincial Archives of Saskatchewan; call 306-787-4068 or enquire in-person in our reading room. Click here for a full list of titles of Saskatchewan History articles from 1948-2017. Copyright to the collective work in each Saskatchewan History issue is held by the Provincial Archives of Saskatchewan. Copyright in individual articles may be held by: the author; by the Provincial Archives of Saskatchewan; or in some cases, an article may be in the public domain. Questions about copyright may be directed to Reference and Outreach Services. The Provincial Archives wishes to thank its many contributors, editors, managers and designers for their dedication to the magazine. Over seven decades, Archives’ staff has guided the success of the magazine as writers, researchers, proofreaders, and business and production managers. They leave us a rich heritage.